I always get enjoyment watching my kids play pretend. As a parent there are many times that I have to separate my kids to give each other space when they aren’t getting along. However when there is a kitchen they always find a way to get along and play together. I was sent the Step2 Best Chef’s kitchen as part of their review program. Taking it out of the box there is some assembly required. For me the most time consuming part was putting on all the stickers. I have to add that the stickers are more of a vinyl sticker rather then a paper sticker which I really like because when you wipe it down to clean it the stickers don’t get all soggy and come off. The kitchen is nice and compact, not taking up much space at all. There is lots to this kitchen for the size. The doors to the fridge and oven both open up, and they both have shelves inside. The knobs on the stove top and oven make a clicking sound when you turn them. When you set the pot or pan onto the stove, lights blink and a button is triggered for the sound of water boiling or food frying depending on whether its the pot or pan. This feature is very fun a realistic, adding to the great imaginary play. The kids have a blast playing “restaurant” together using the pass through window. One comes up and orders while the other prepares and serves the food. 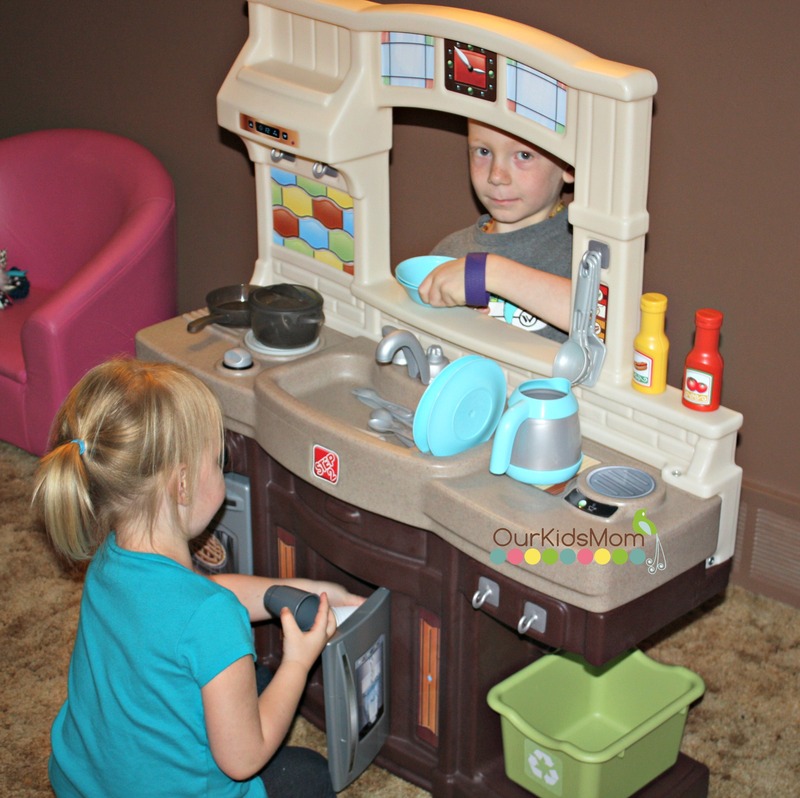 The imagination they have and use while playing at this kitchen is so entertaining for me to sit back and watch. A unique accessory that I like and thought was smart is the recycling bucket that has it’s own place to sit under the counter. It’s brought a new curiosity of questions to them about what recycling is and what is recyclable. I like that they are learning about recycling at a early age. This kitchen doesn’t have all the bells and whistles as some other kitchens do, but I think with play kitchens less is more. When there are so may accessories and different things my kids almost get overwhelmed and lose interest leaving a big mess of food and dishes behind. I actually appreciate not having the “food” accessories with this kitchen as it’s less mess and it leaves more to the imagination. The Step 2 Best Chef’s Kitchen is a great kitchen for the price. It’s very affordable and would make a super gift for any child. My 1 year old loves pulling himself up to it and banging around in the kitchen right beside my 6 and 4 year old. 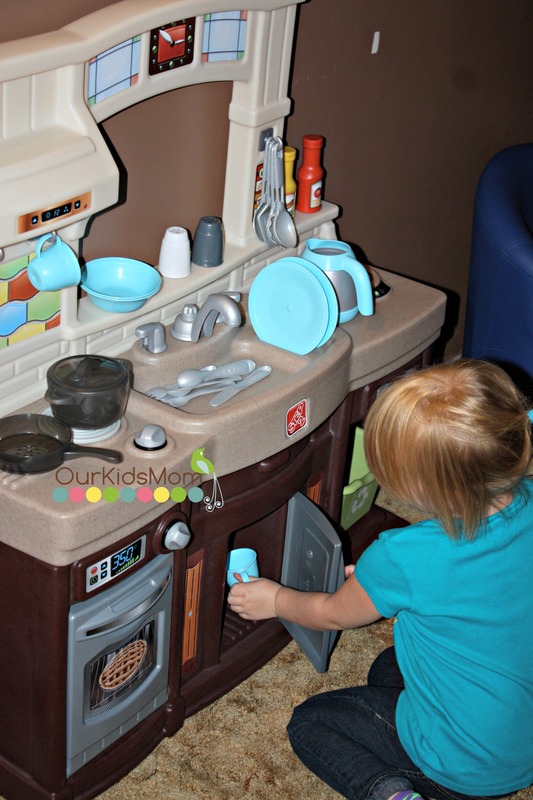 This kitchen covers a wide age range of kids and it will stick around with your kids for years to come. Head over to www.step2.com surprise a child in your life with some great imaginary play. 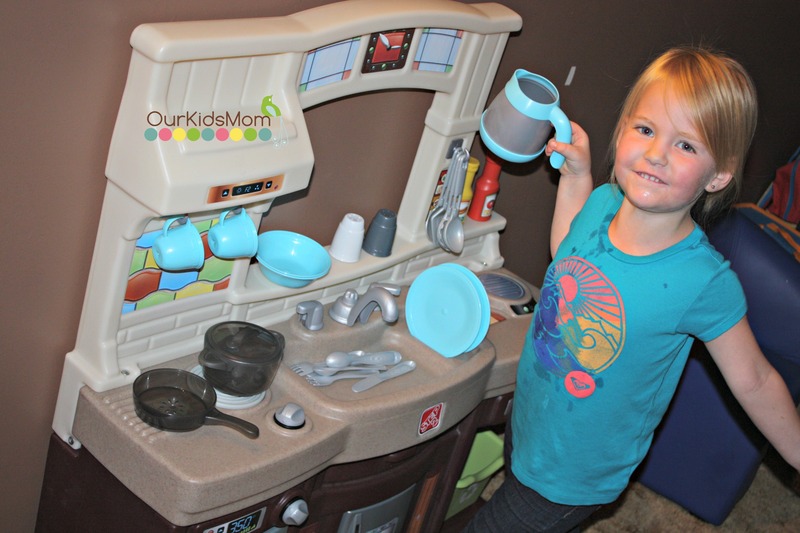 ONE OurKidsMom reader is going to win a Step2 Best Chef’s Kitchen! This giveaway ends at 11:59 PM EST on September 27, 2014. I would like to have the All-Star Sports Climber for my grandson. I also like their Sit and Play Picnic Table with Umbrella. I like the 50’s diner. That looks fun to play! I really could use the Fun Time Room Organizer. I have a bookcase with ton’s of toys on it for now. I also really like the Love & Care Deluxe Nursery™. 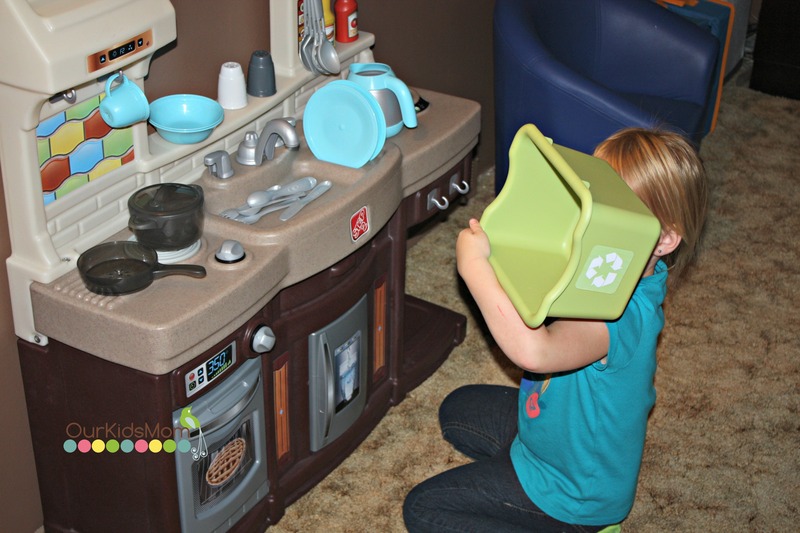 I would love the Naturally Playful® Sand & Water Activity Center! I would so love the Boy’s Loft & Storage Twin Bed. Very cute and I love the storage idea for it! I like the Sit & Play Picnic Table with Umbrella. 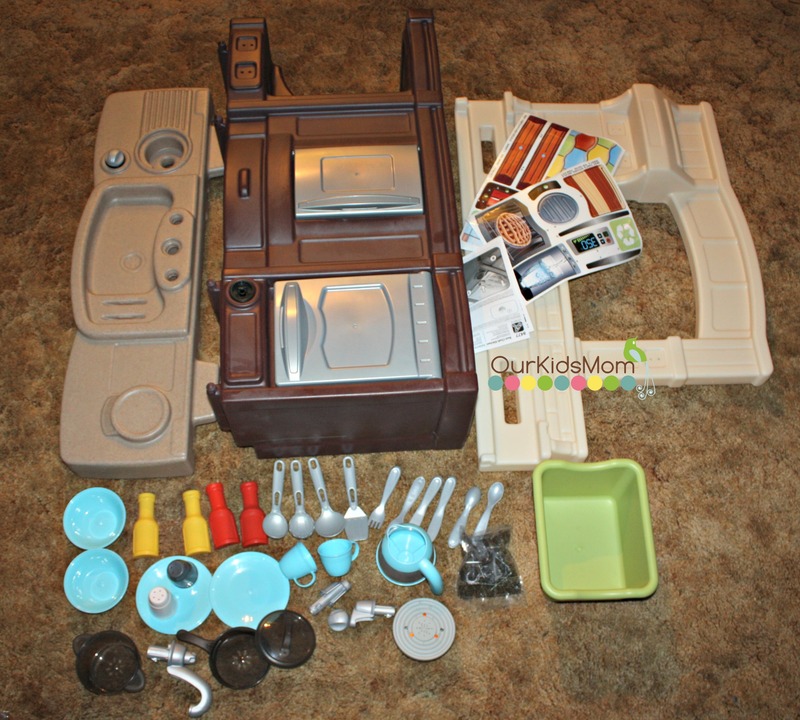 I would love the High Seas Adventure Sand & Water Table with Umbrella for the kids! I’d love to have the New Traditions Table & Chairs Set. This would be perfect for my kids. I like the soccer ball toy chest. I’d love to have the Soccer Ball Toy Chest. It would go perfect in my sons room! My son would love the Skyward Summit. I like the Girl’s Loft & Storage Twin Bed. My son would love the Easy Turn Coupe! I love thier walk in kitchen set. it looks so awesome. Oh, I love this! Would be such a great addition to our playroom! I also love the Extreme Coaster – how fun! I’d like to get the Light-It-Up Junior Basketball Set™ or my grandson. My kids would also like the Boy’s Loft & Storage Twin Bed™. I would love the Outdoor Storage Bench! I like the kickback soccer goal. 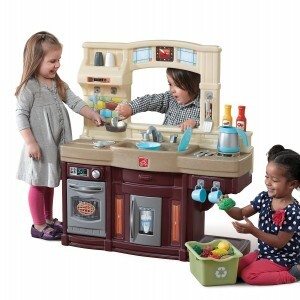 This kitchen play set is a great price! I want the Deluxe Art Master Desk. I’d love the Studio Art Desk™. It’s pretty neat. The sit and play picnic table with umbrella is really nice as well. I love that the toys at Step2 are durable and manufactured in USA. The 50’s dinner is super cute! I would also love the Play Up Gym Set for our back yard. I ALSO LOVE THE Extreme Coaster. looks like so much fun! I like that this comes with 25 accessories! I would love to get the Best Chefs Kitchen for my son!